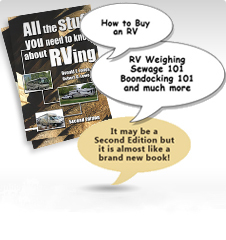 Welcome to our RVing FuseSwitch™ Information page. NOTE: This section of our website contains extra information about our RVing FuseSwitch™ including Installation Instructions and Troubleshooting guides and hints. On the right of this page you will see a menu directing you through this section. You are currently on the INFO page, but you will find links to PICTURES, VIDEO, and a VEHICLE DIRECTORY (Application chart) and the TROUBLESHOOTING GUIDES and INSTALLATION INSTRUCTIONS for each version. Some newer vehicles are equipped with an ATM Micro Mini Fuse which is somewhat smaller than the more common ATM Mini fuse. This style of fuse is distinguished when looking at the fuse panel by all of the fuses being flush mounted on the fuse panel with finger-thumb indentations in the panel to allow fuse removal. The ATM Micro Mini Fuse is a smaller block of plastic with side terminals that barely extend past the plastic body of the fuse, whereas an ATM Mini Fuse has a larger block of plastic with two pointed 1/8” (3mm) legs protruding from the plastic body. 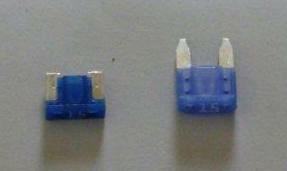 (see photos) When installed in a fuse panel these fuses sit above the panel and are usually removed using a fuse puller. If the vehicle is Equipped with a ATM Micro Mini Fuse and you are installing the RVing FuseSwitch™ an ATM Mini fuse will need to be acquired of the same rating as the original equipment maker’s (OEM) fuse and inserted into the RVing FuseSwitch™ inline fuse holder, since there is currently no aftermarket fuse holder available to accept the OEM ATM Micro Mini Fuse. Why Do I Need a RVing FuseSwitchTM ? Click HERE for answers to that Question. Please check back regularly as we are continually updating our resource pages.